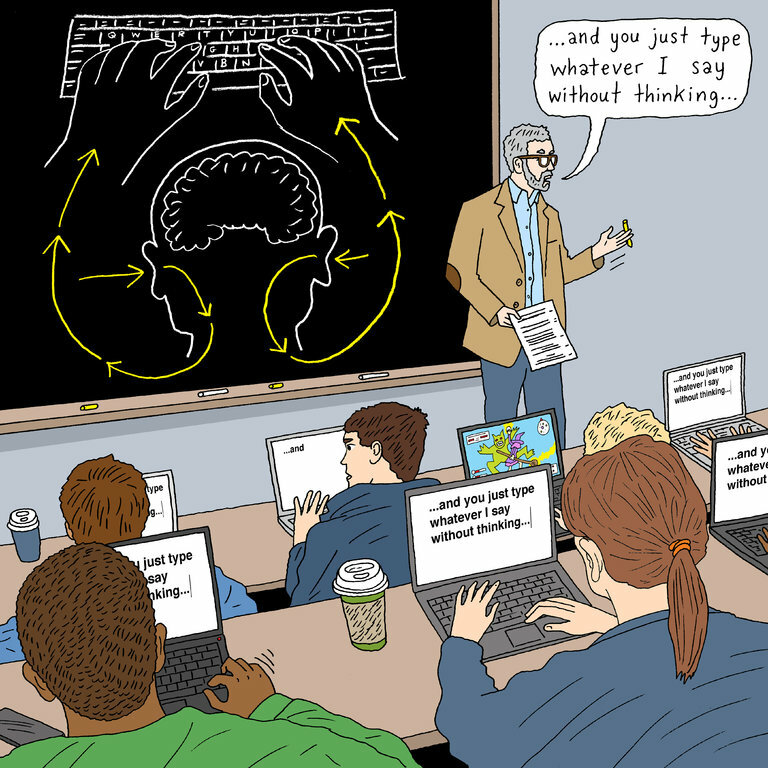 The evidence has been around for years and is mounting: taking notes on a laptop (in classes or in meetings — colleagues, take note!) results in less learning. Although students may not feel comfortable without that particular crutch, keeping laptops out of the classroom helps them process lecture material or active learning sessions. Added bonus: no Facebook during class. Here’s the article from the New York Times. I got into a huge fight with someone claiming that a laptop ban is “ableist” and discriminates against students with undocumented learning disabilities who may need laptops to facilitate their learning. A valid point (and, I learned a new term!! ), but like all classroom policies, a laptop ban should be implemented where appropriate and relaxed when appropriate. If a student has a documented need for accommodations, use of a laptop should be fine, but it would be the exception and not the rule.